Those with low vision will appreciate this handy bar magnifier. Place it flat side down on any reading material and the highlighted line that runs through it will help you focus and keep your place should you look away from your reading. Highlighted line is tall enough to typically hold one line of standard text and up to 9 inches of text long. Just slide the bar up, down, left or right to continue reading. 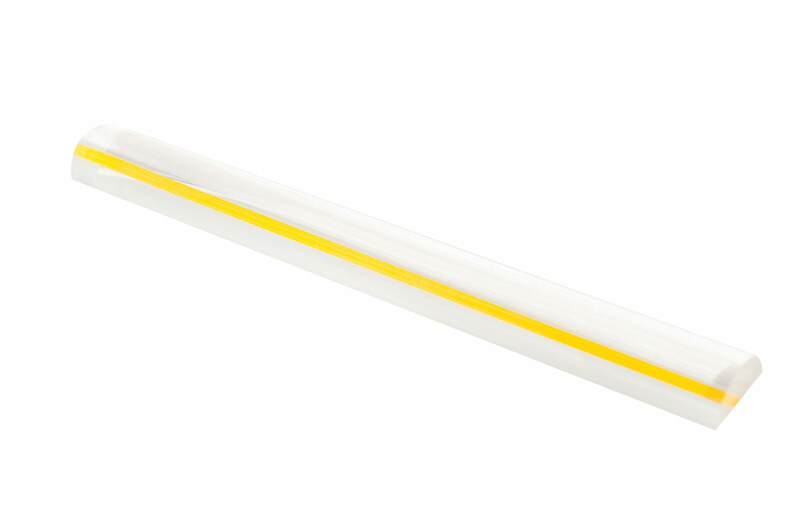 Clear Lucite material; 9 inches in length. Strength: 1.5x. Highlighted Bar Color: Orange.